This year, a significant number of these commemorations will include celebrations of scientists, engineers, and other science-related professionals and the contributions they have made to our society. The reason for this new focus? The dedication, creativity and commitment of our "Seeds of Success", girls, mostly in middle school, from all corners of our archipelago, who were selected to attend workshops where they interacted with female scientists and engineers (our "Borinqueñas"), explored their scientific curiosity and leadership, and learned more about careers in science, mathematics, engineering and technology (the so-called STEM disciplines). As part of the program, and to increase its impact, we challenged the Seeds of Success to design an activity that would help us share the enthusiasm and excitement that they feel for STEM with other students and people in their schools and communities. The result has left us impressed and inspired by the incredible resource of creativity, talent and commitment we have among our youth. Thanks to the Seeds of Success who accepted our challenge, thousands of students across Puerto Rico will be exposed to the concept that science and technology--as well as the arts, our music and cuisine, and sports--are also part our culture and our identity as Puerto Ricans. We are very proud of these "STEM Ambassadors", the official title that will be awarded to girls who complete their science outreach projects, as well as of the mentors that guided them to identify their projects and to carry them out. We also appreciate very much the participation of the large numbers of STEM professionals who will be paricipating in the activities as presenters, role models or mentors. 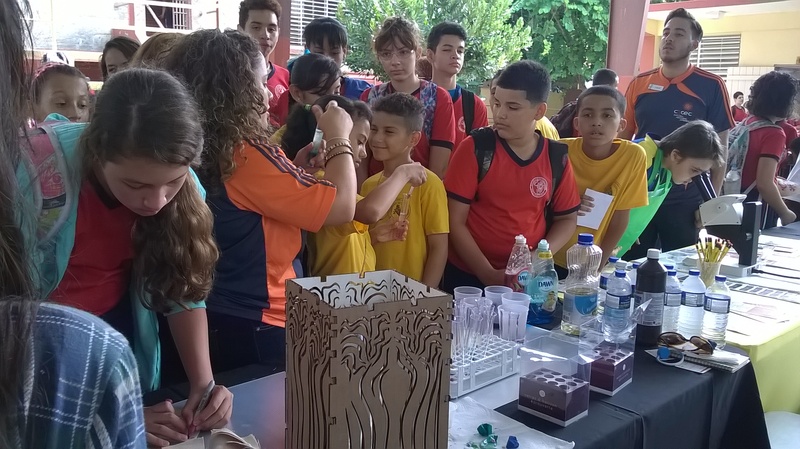 In the coming months we hope to better highlight the projects and contributions of our STEM Ambassadors but for now, we leave you here with some examples of how our young people and their fellow students and community members will be celebrating science, mathematics, engineering and technology, as part our Puerto Rican heritage.